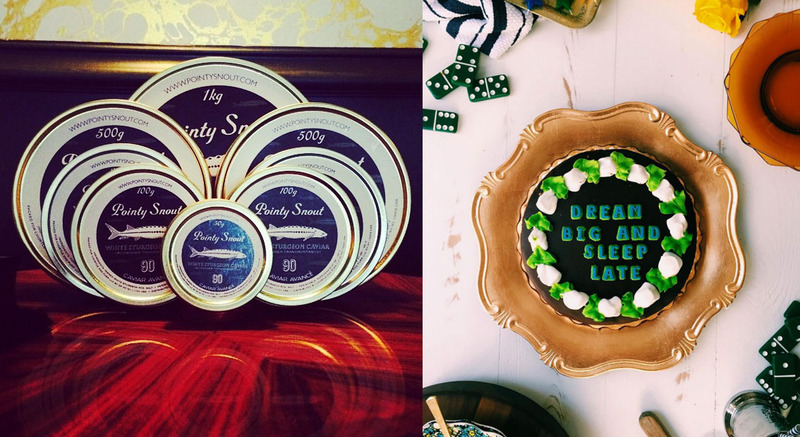 Alexandra Du Cane is the co‐founder of Pointy Snout, a sustainably farmed U.S. caviar company. A self‐studied expert, Du Cane personally grades each tin, ensuring both quality and transparency. Pointy Snout has been featured in luxury lifestyle outlets such as Travel + Leisure, Vogue, The Wall Street Journal, Departures, Town & Country and dubbed “black gold” by W magazine in 2014. Before starting Pointy Snout, Du Cane founded one of the world’s premier fashion and advertising photo agencies, with offices in New York, Paris and Los Angeles, producing global marketing campaigns for Fortune 500 companies such as BMW, Seagram, and AT&T. Joy Wilson is the voice behind the popular blog JoytheBaker.com. She is a baker, food photographer, writer, and curator of all things sweet. Her first book, the Joy the Baker Cookbook, is an unabashed celebration of butter and sugar, and her second, Homemade Decadence, is filled with ooey gooey sweet treats. She is currently finishing her third cookbook, all about brunch, to be released in Spring 2017. Joy is also creator of the viral Instagram Drake on Cake. She lives in New Orleans, Louisiana with her monstrous cat Jules, an admirable collection of nail polish, and a refrigerator full of butter.